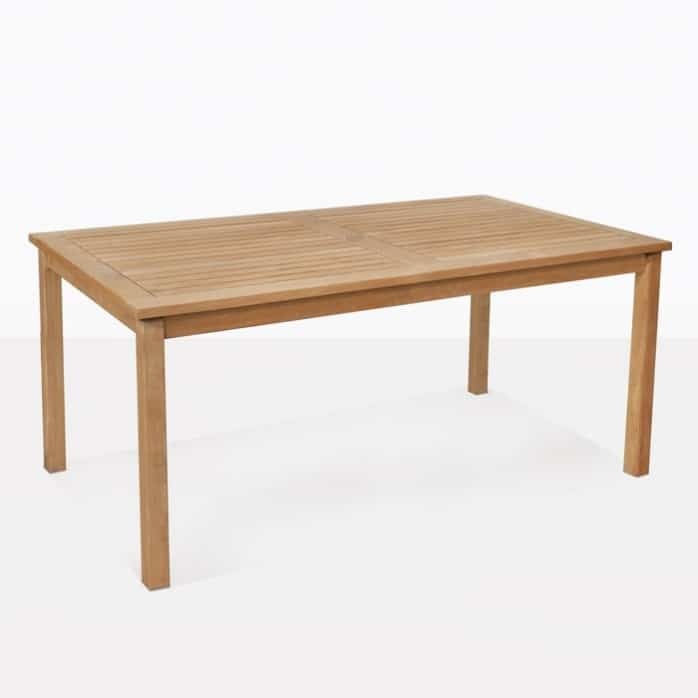 The Tyrus Table is an excellent choice for a dining table for your outdoor patio. 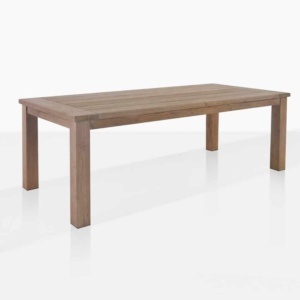 The style is classic and timeless and because it is made with grade-a teak, it is strong and durable. It is important to buy grade-a teak because of its quality, other grades of teak don't even compare. 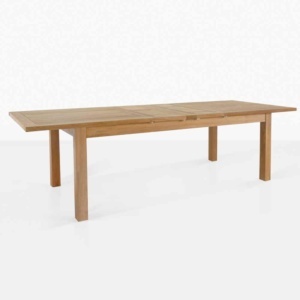 Over time the grade-a teak Tyrus table will turn an elegant shade of grey. 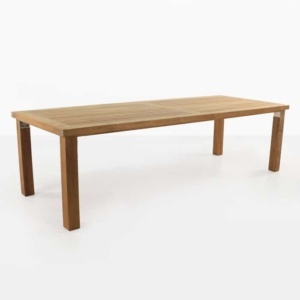 We have a huge selection of dining chairs that will go beautifully with this table. You may choose from wicker, batyline mesh or a-grade teak. 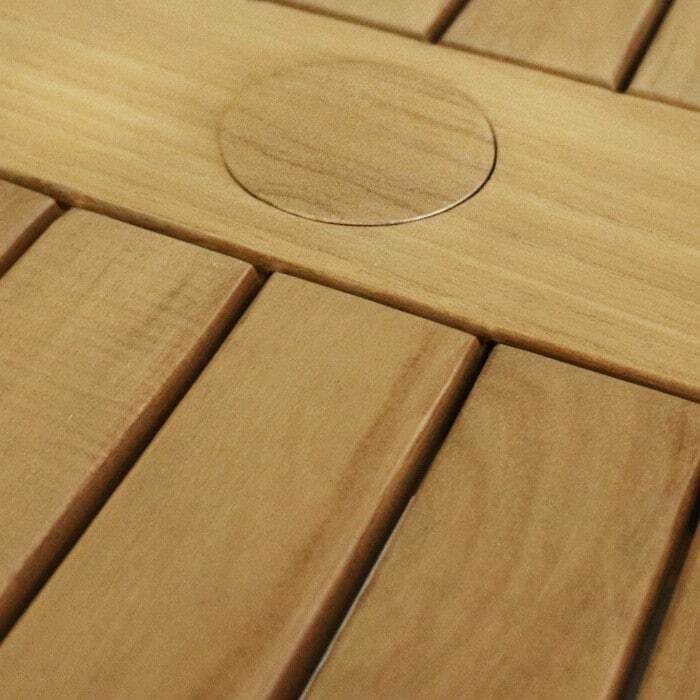 The Tyrus Table comes with an umbrella hole.